Posted on July 22, 2017 July 22, 2017 by STACi P.
Hey Fly Friends! 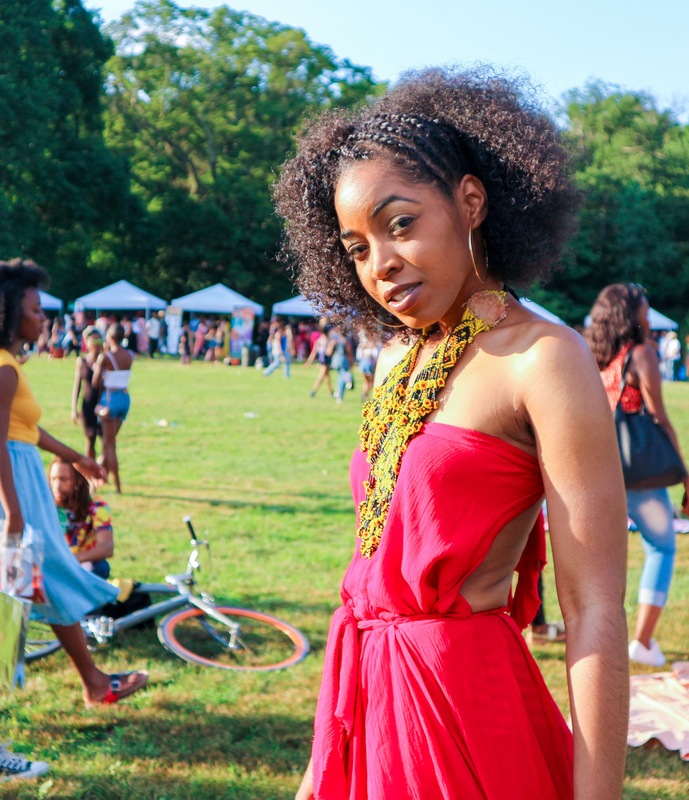 I’m rounding out the week with my last post about CURLFEST! 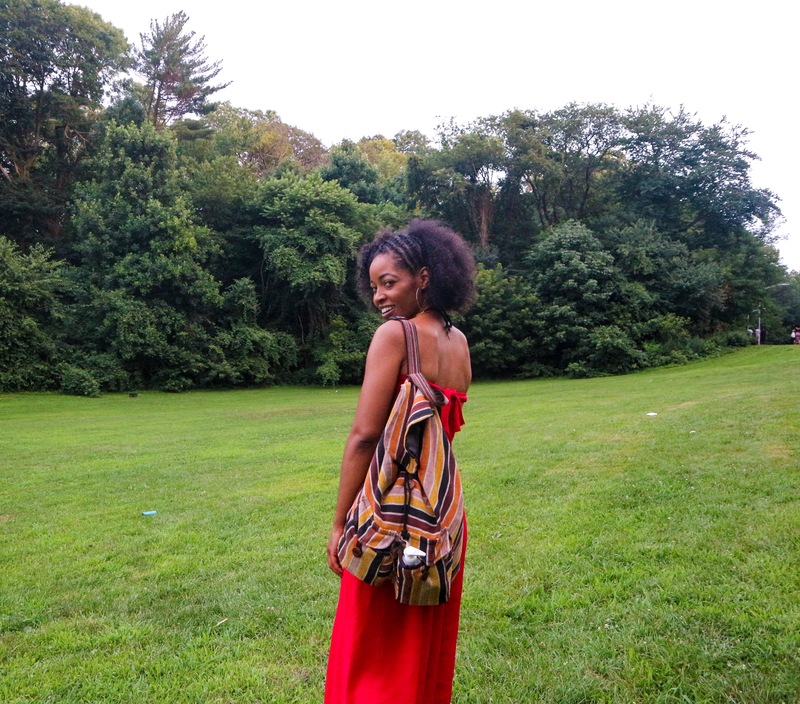 If you read My CURLFEST 2017 RECAP, which you should have — you know I promised to give you all the details on my outfit in a separate post because it was “that good!” Well, promise kept. You all know I’m avid thrifter and bargain hunter and with CURLFEST, this was no different. I knew I wanted a look that would be original aka I wouldn’t see another curlfriend rocking the same thing, “goddess-like” and weather appropriate — let’s face it, there’s no escaping the heat! After weeks of pinning on my secret board and scouring the internet for clothes, I started to hit up the shops coming up empty handed, lol. Then one weekend, I went to the flea market and stumbled upon this gorgeous beaded necklace “made in Cuba” that gave me all the feels! Scored it for $10 and the vision started to come to life! Now it’s the week before CURLFEST 2017 — I have a necklace, a very clear vision and I’ve been to the same stores 3 times hoping I missed my perfect outfit on someone’s sales rack somewhere. Insanity. So in a desperate attempt to get creative, I headed to thrift store and out the corner of my eye, I spotted this deep coral dress that if I tilted my head slightly to the right, I thought it could work! A size 18/20 vintage Venezia dress with a V-neckline, 4 buttons down the bust, side pockets, airy pleats – oh, and it only costs $7.99! I said to myself 1) I love the color 2) the price is good enough so if I mess it up, I won’t feel terrible and 3) what do I have to lose? Strapless, semi-wrap backless dress, with side pockets, an adjustable tie in the back and airy pleats ALL for $7.99!! The best way to explain how I did this was … CUT. I pulled the straps to the side, tied them in the back, cut a bit there, took the left over fabric, tied it around my waist and prayed to GOD nothing came out while I was twirling around, lol! 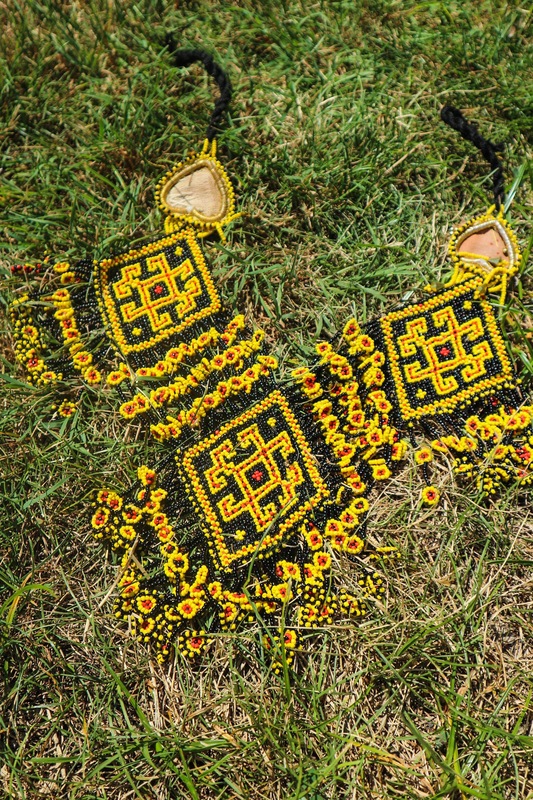 Just kidding, everything was tucked away and secure but, please note: not one needle or an ounce of thread was used to create this. It was all vision, scissors and the grace of God because I have zero technical training in design, lol. Although, I am super proud of the outcome! My CURLFEST 2017 accessories were put together with a lot of thought and love (rings not pictured). 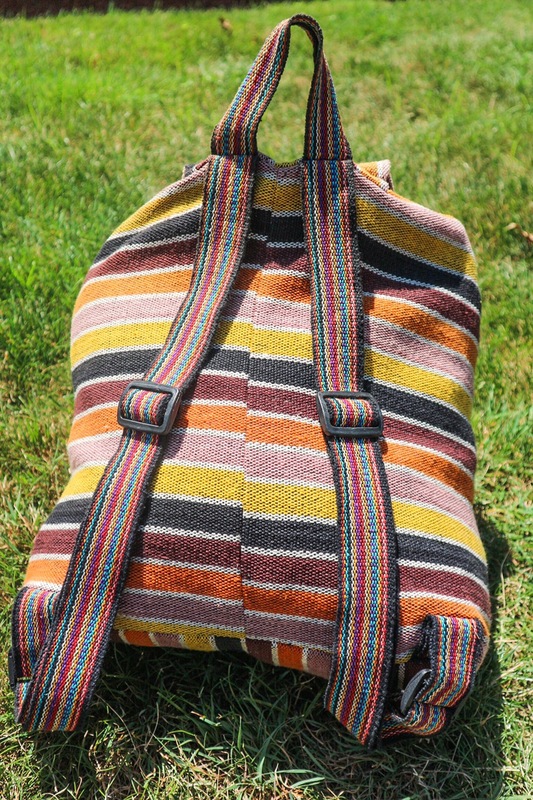 My handmade canvas backpack was perfect! It was already lightweight so, I knew I wouldn’t have to worry about my back hurting and the double pockets in the front were very convenient for my lip gloss, business cards, and little things I needed easy access to! 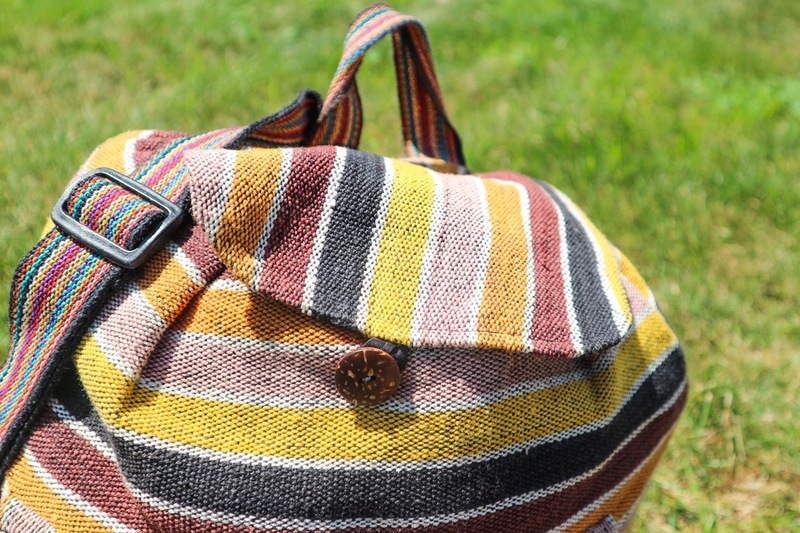 I loved that the bag is this colorful canvas material, lined with a nylon material with a drawstring closure and this wooden button closure for the top flap — super cute! 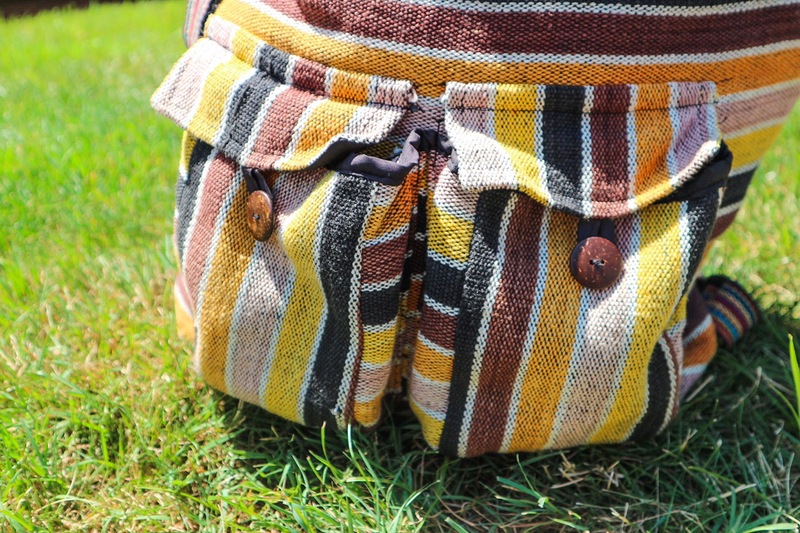 The straps of a bag could be the deciding factor if you wearing it all the time or throwing it in the back of your closet to never been seen again. I will gladly admit that this won’t be the last you see of me wearing this backpack! 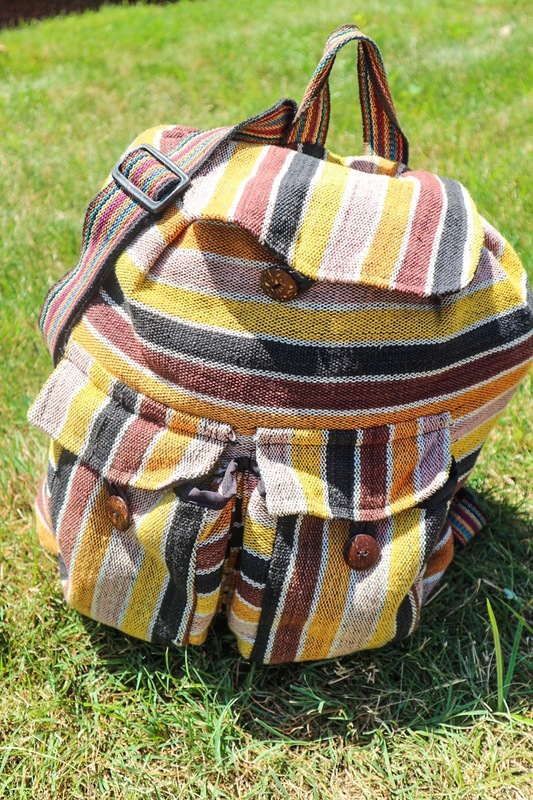 The adjustable nylon straps are so comfortable and cute — I’m searching for outfits to style this bag with, I’m so obsessed! Don’t you agree or am I being biased because it got me through my second year of CURLFEST with no problems? I loved all of my accessories however, these shoes by Merrell may be the sole reason CURLFEST 2017 was such a success! It’s nothing like being somewhere having the time of your life and your feet hurt. Not with these sandals. Not even a little bit. 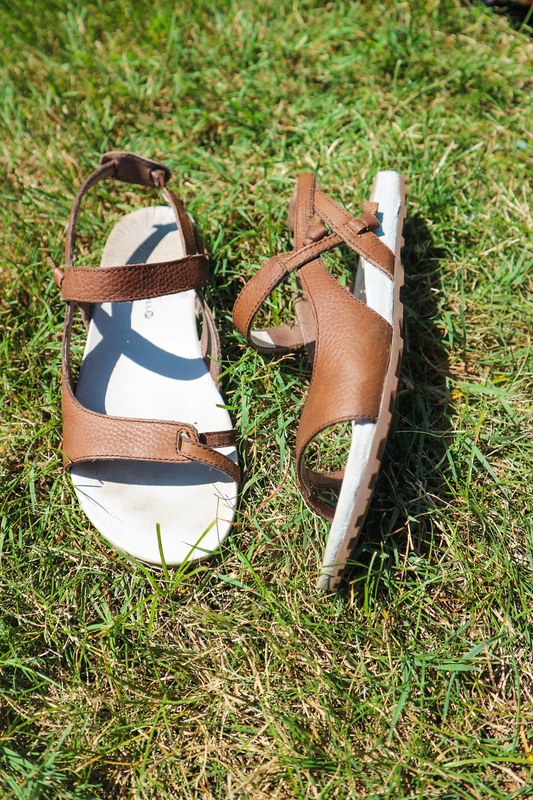 I was on the hunt for the “ugly trend” sandals with the nylon straps but, I could not find them anywhere! So, I went to DSW and the amazing manager working led me right down the aisle to find a row of sandals. None of them spoke to me like these Summertime Knotty in Dark Earth did. They aren’t “ugly” — they’re actually kinda cute and I’m a sucker for anything cognac in color because it goes with everything. The song my feet sang when I tried them on sealed the deal! The sole of the shoe is so soft, your feet practically melt into them but still providing much-needed support for the flat feet people, like me. Oh, and since the bottom sole is rubber is it’s not like you’re constantly walking on cement. After a long day, that’s very important! The price was $89.95 but with 50% off, I paid less than $45 for them! That’s why I love DSW! Once I put everything together, I was very happy with my CURLFEST 2017 look! Original. Check! Felt like a Goddess. Check! Weather-appropriate? Check, check! Let’s see what I come up with for CURLFEST 2018! For more CURLFEST 2017 pictures, click here.